Seawall and Dock permits will be reviewed to ensure that seawalls and/or docks are properly constructed, and designed in compliance with the City of Tampa Flood Damage Control requirements for a velocity zone. Along with the standard Project Application, a signed and sealed survey showing seawall location; wall section showing structural details, will also be required. An engineer or architect’s certification must be provided indicating compliance with the City of Tampa code. Before submittal, approval from theTampa Port Authority or Hillsborough County EPC is required prior to submittal. Please note that the authority to issue some minor marine construction permits … jurisdictionalseawall applications require signed and sealed drawings/plans. SEAWALL CONSTRUCTION and the Department of Environmental Protection. 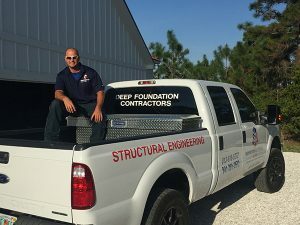 Foundation Masters, LLC will help you with all phases of Seawall Construction & Permitting along with any Marine Construction & Marin Engineering…..
Contractor/subcontractor must be currently registered in the City or County. This is just a simple check list for some of the requirements all city & counties have different requirements, make sure to check with your local building department or call us for help.